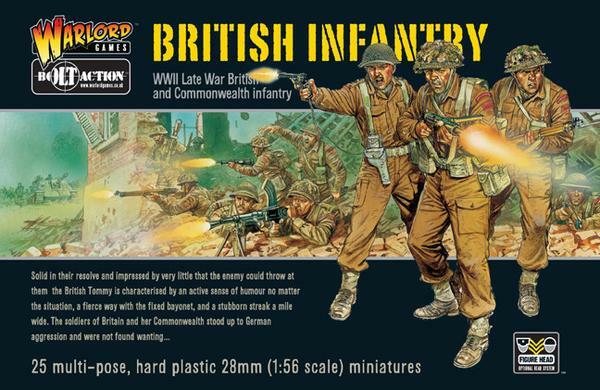 Enough plastic components to make 25 British infantry miniatures. 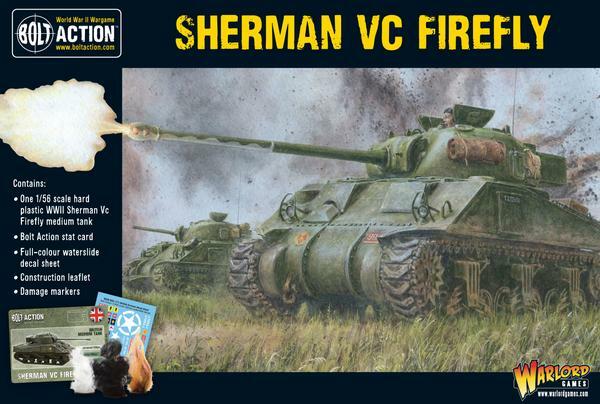 Includes a host of options to allow for different weapon configurations and command models. Weapons included: Lee Enfield rifle No. 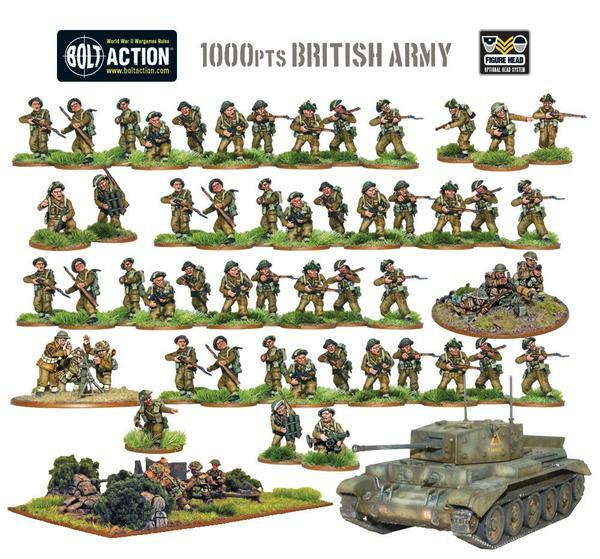 4 (plus scoped and bayoneted versions), Bren light machine gun, Thompson sub-machine gun, 2" mortar, Sten gun sub-machine guns, Webley revolver, Mills bomb grenades, bandoliers and the Tommies' trusty shovel! Round plastic bases (25mm diameter). Construction leaflet. Decals Set. 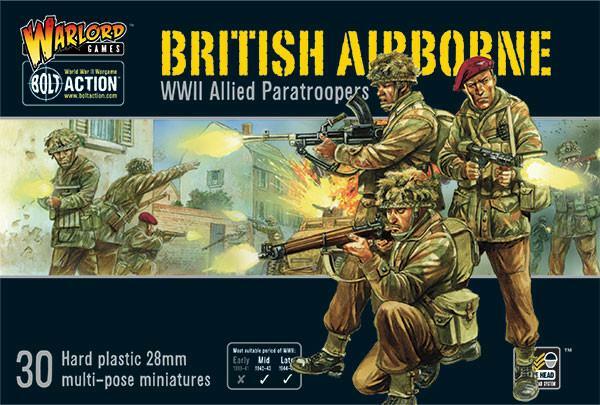 Enough plastic components to make 30 British or Polish Airborne miniatures. Includes a host of options to allow for different weapon configurations and command models. Plenty of equipment including: Lee Enfield rifle, Mk V Sten Gun, Bren gun LMG, scoped Lee Enfield rifle, PIAT, Webley pistol, Mills Bomb hand grenades. Round plastic bases (25mm diameter). Full-colour waterslide decal sheet Construction leaflet. 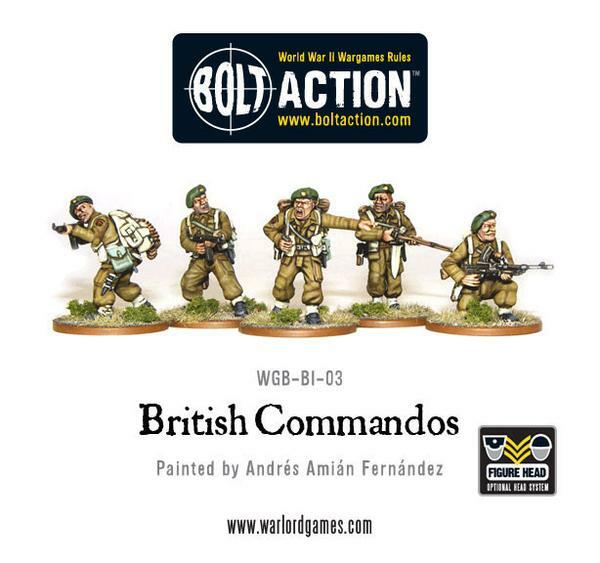 Enough plastic components to make 25 British Commando miniatures & A host of options to allow for different weapon configurations and command models. Weapons included: Lee Enfield rifle No. 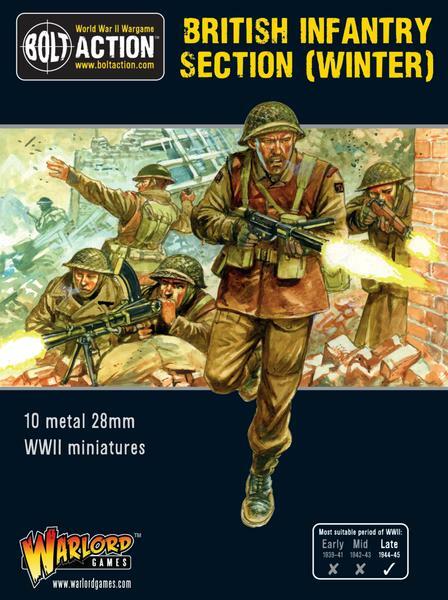 4 (plus scoped and bayoneted versions), Bren light machine gun. Thompson sub-machine gun, 2" mortar, Sten gun sub-machine guns, Webley revolver & Mills bomb grenades, bandoliers and the Tommies' trusty shovel. Round plastic bases (25mm diameter) & Decals Set. 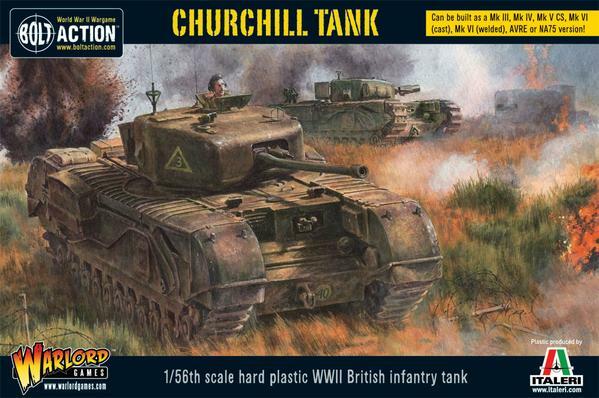 This kit contains everything you need to make either the MK I or the the MK II tank. 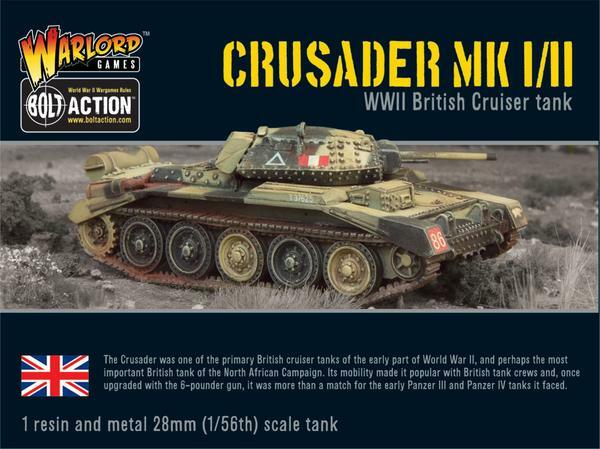 In this new plastic kit from Warlord and Italari you'll get 7 turret variations allowing you to build the following marks: MkIII - with 6pdr gun, MkIV - Cast turret with 6 pdr gun, MkV - Cast turret with 95m Howitzer, MkVI - Cast turret and Welded turret with 75mm gun, NA 75 & AVRE (Armoured Vehicle Royal Engineers) with 290mm Petard Mortar (aka the flying dustbin!). 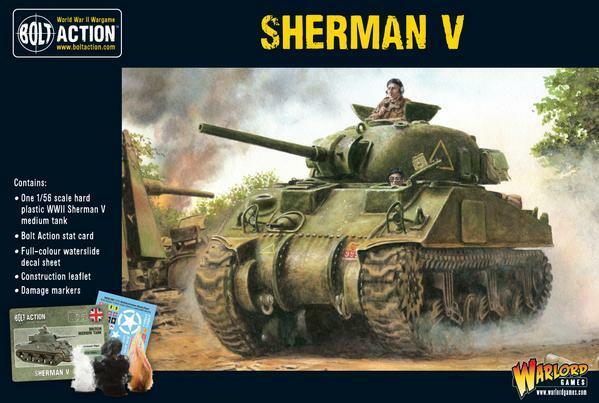 This Box Contains; 1 Plastic Sherman V tank, Bolt Action Stat Card, Decal Sheet & Vehicle damage markers. 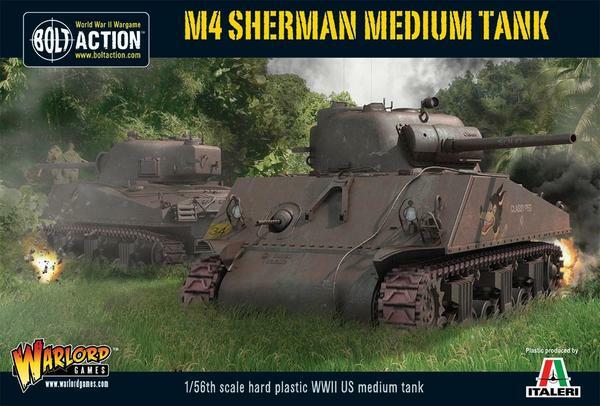 This Box Contains; 1 M4 Sherman Medium Tank & decal Sheet. 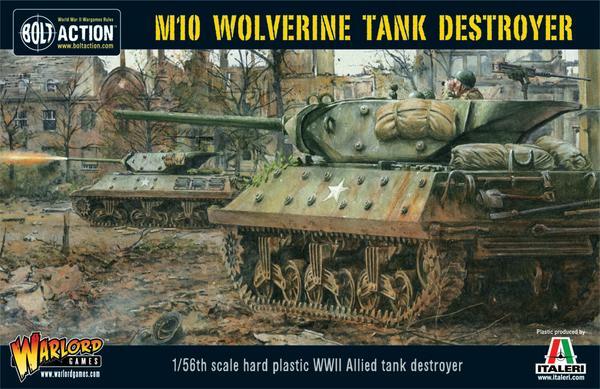 The M10 was also widely used by the British, who called it the Wolverine. 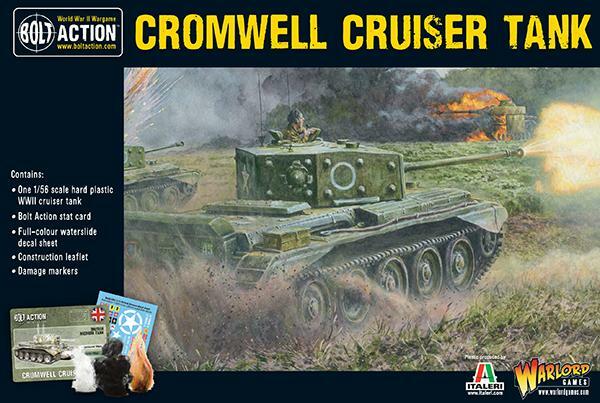 As such this plastic set comes complete with choice of US or British crew plus extensive decal sheets to gear up your tank hunters for action. 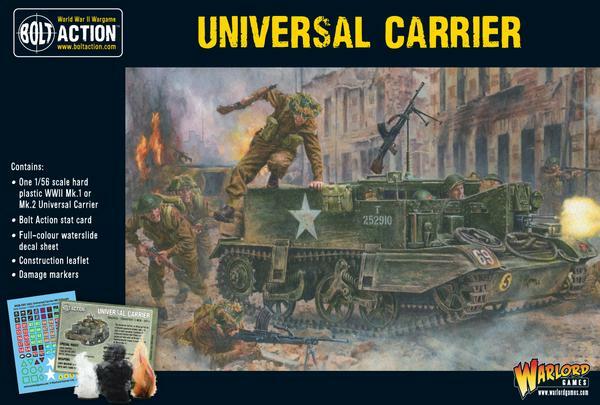 The Universal Carrier, or Bren carrier as it became popularly known, was just that a multi-purpose, tracked and armoured vehicle that filled a whole variety of roles with all British and Commonwealth troops in every theatre of World War II. 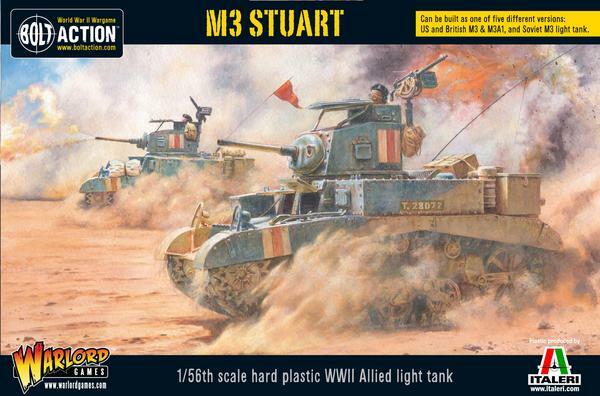 The plastic carrier kit allows you to chose whether to build it as a Mk I or Mk II version as it contains parts for both.